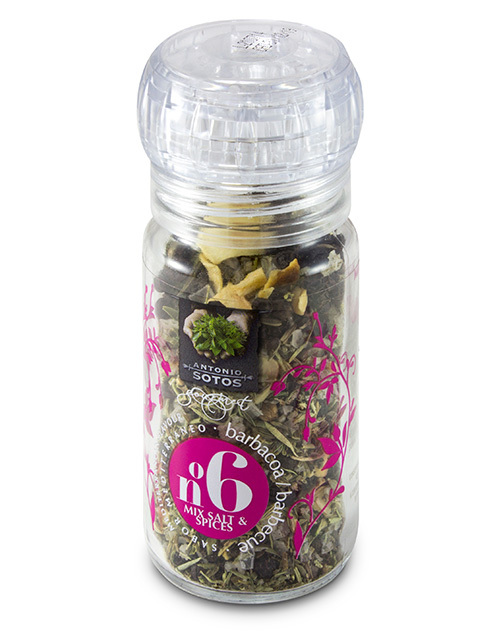 Grinder Nº 6 Barbecue – 36 g – Mix Salt & Spices. Ingredients: salt chips, black pepper in grain, garlic flakes, rosemary, savory, fennel, thyme and basil. Uses: on meat assortments and roast meat.